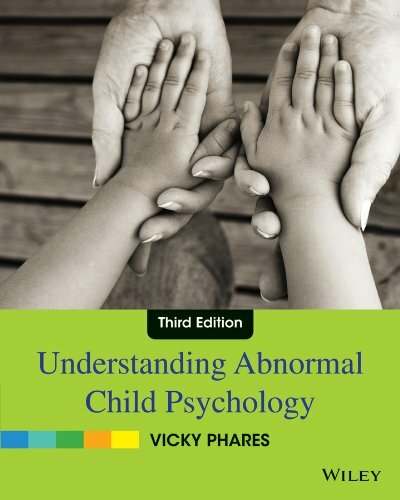 Understanding Abnormal Child Psychology, 3rd edition emphasizes developmental psychopathology as a means for understanding and treating abnormal behavior in children. The text emphasizes strengths and healthy outcomes as a means for designing effective therapies to help children and families, as well as focusing on prevention as a cornerstone of managing child behavior. Throughout this book, special attention is given to issues of diversity, inclusion, and understanding. The text also examines the relationships between children and their fathers as well as with other primary figures within families (i.e., siblings, step-parents, care-taking grandparents, foster parents, etc.). The Third Edition has been updated to include DSM-5.